Bring the crackle and warmth of a wood stove into your home! 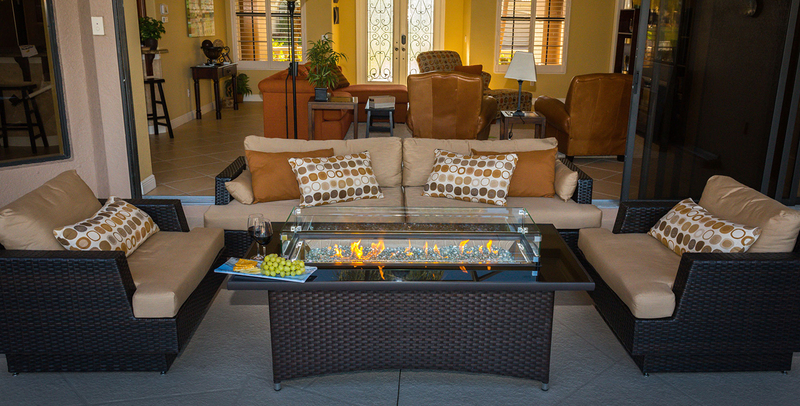 Outdoor fire pit tables and campfires add a warm, cozy glow to any outdoor space. The old gas log is gone, replaced by sleek, simple lines and sophisticated design. Add beauty to your outdoor space with a Outdoor Gas Fire Pit Table. The Fireplace Company is locally-owned and operated for over 24 years. We service the entire Roaring Fork Valley — providing fireplace services and fireplace installation from Aspen to Glenwood Springs, New Castle to Rifle, Colorado. We are the exclusive dealer for the most reliable and reputable brands in the hearth industry. Every gas fireplace manufacturer recommends annual maintenance for safety and optimal performance. We have installed hundreds of fireplaces in the valley over the years and take pride in our professionalism and craftsmanship. We can work with your Architect to get you a custom fireplace. It will be an architectural feature, a sophisticated statement about you and your home. We invite you to stop by our showroom located in Carbondale, Colorado. Showroom Hours : 9:00 to 5:00 Monday through Friday.